You have taken a big step in starting up your new small business. What steps can you take as a new business owner to have effective finance and accounting procedures? In the beginning it may seem a bit overwhelming. Making good financial decisions is one of the most important things you need to do in order to be a successful business. A good start in handling accounting for your new business is to break down the business transactions into smaller categories: expenses, invoices and if you have employees- payroll. Managing small categories will make the task seem much more reasonable to handle. Make it a habit from the start to keep up on your bookkeeping. Don’t procrastinate and let it build up to an unmanageable pile. Set aside a specific time of day in each week to complete recording every transaction separating them into the categories. As you become accustomed to routine transactions you will be able to break down expenses further: telephone, marketing and advertising, rent, internet and so on. What about cash flow? It is very important to take steps to manage and project money coming in as well as money going out. Some steps to help with cash flow are delaying outlays of cash as long as possible with exception of taking advantage of early payment discounts if available. Keep up on your accounts receivable. The sooner your customers pay you the better. 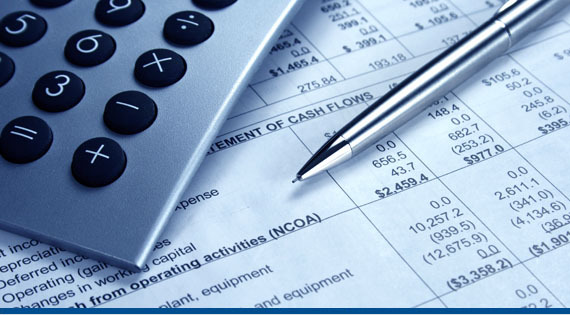 As time goes by and your business grows you will want to plan ahead on expected cash flows. Make projected cash flow expectations for the next year, the next quarter, or sooner if money is tight. This will keep you ahead of a sudden lack on money. Some of your cash flow projections will depend on your educated guesses of expected events (how soon will my customers pay- how dependable is the payment history of my clients, will sales fluctuate). You will also need to make accurate predictions of money flow out. Keep track of where every penny is spent and for what. Some expenses will be predictable and others will be unexpected. The better prepared for an unexpected even, the more likely your business with weather the event.